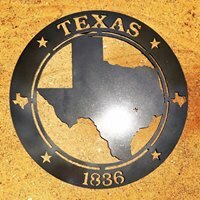 Roscoe Truchard, owner of Texas Pride Gate Company was born and raised in the Bernardo/Cat Spring area. 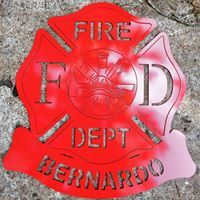 He does Computer Numerical Control (CNC) Metal Cutting creating those custom, unique, metal signs that are so popular. 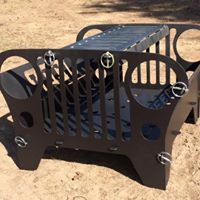 He offers welding and fabrication services and will create your own custom designed gate or entrance for your ranch, farm or home. How about a custom firepit for those chilly nights? 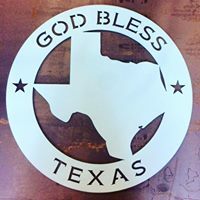 You may find Texas Pride Gate Company handcrafted metal art at Potter’s Western Store , email Roscoe at texaspridegate@icloud.com or call 346-818-8356 for your custom gate, entrance, firepit, metal art and welding and fabrication needs. For pictures of Roscoe’s work visit his Facebook page Texas-Pride-Gate-Company.